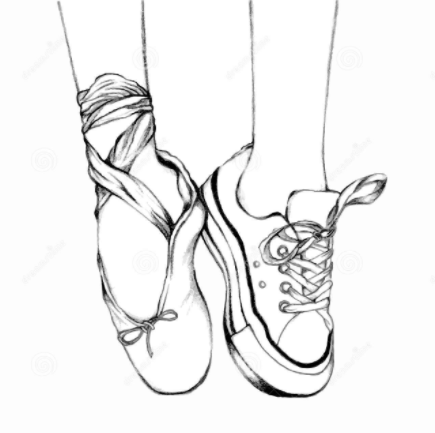 Weekly adult ballet class for beginners and those returning to dance after a long absence. Sara Porter teaches an easy approach to ballet to encourage healthy alignment, build strength, extend flexibility, develop clarity and articulation in movement, working at a slow and gentle pace. The class incorporates clear technical form, employing humour and humility to accomplish movement that feels comfortable and comfortably challenging. Oh, and have fun dancing around the space to all kinds of music! Play in the pleasure of ballet without all the trimmings. No judgment, no mirrors. (But possibly costumes!). Sara Porter is an internationally celebrated choreographer, performer and teacher. She has taught dance in university and community settings for over twenty years in Canada and the UK, and brings her unique blend of humour and technical rigour to both her stage productions and studio classes.